Your wedding day can be the most important day our your life so you want to look your very best. Photos and video of the day will capture every detail and your makeup will be a highlight of those photos and videos. Using airbrush makeup you are guaranteed a flawless finish. 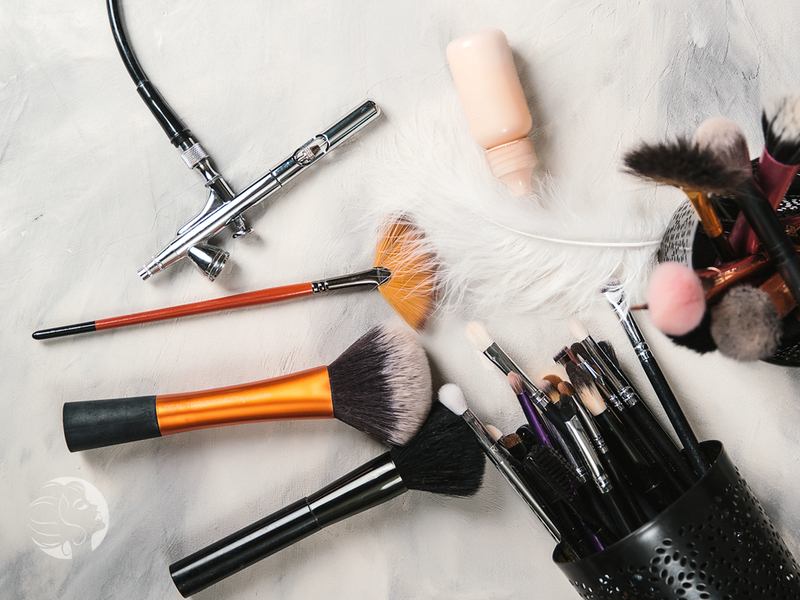 Why choose airbrush over traditional makeup? Airbrush makeup is a light-weight makeup applied through an air gun machine that produces a thin, even layer of makeup and creates a very matte finish. The fine mist of color covers the skin and gives the appearance of a flawless complexion. We will mix foundation colors for a perfect blend to match YOUR skin tone. Since it’s such a fine mist your true skin tone shows through which makes it look more natural and not so much caked on. It will not transfer onto clothing + in professional photographs it looks amazing! Airbrush makeup is waterproof (bring on those tears!) and it won’t go anywhere until you wash it off. Be sure you don’t wipe away sweat/tears and instead ‘blot’ it away. This will help guarantee your 16 hours of wear. Traditional makeup can include liquid, cream, or pressed powder that is usually applied with a sponge, brush or finger tips. This makeup is typically not waterproof, will rub off on clothing and will need the occasional touch ups throughout the evening. If applied incorrectly you can get a sloppy cake-like finish. We take your individuality into consideration! Our main goal is to make sure you always look your best, which means a different look for everyone. Every makeup application is customized to your face! We use only the best of the best products! We love to use products that will work for all different skin types. Another great feature is we can do a skin evaluation to see which products will be best for you! Still have questions about airbrush makeup versus traditional makeup? Never had airbrush makeup done and want to setup a consultation? Head over to our contact page to send us an email or give us a call today!